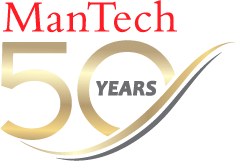 ManTech is seeking an experienced Sr. Subject Matter Expert to support the Naval Postgraduate School’s Unmanned and Robotics research opportunities. This position is an opportunity to work in a cutting edge environment where you will significantly impact the future development of unmanned and robotic systems. The SME shall possess at least a SECRET clearance with experience and expertise in broad areas of unmanned systems. Must have experience providing the high-level presentations and white papers for system engineering reviews, product development, analysis, and validation and verification of engineering solutions. The SME shall have at least a master’s degree in a science or engineering field; a Ph.D. is preferred. Must have at least 12 years of experience relating to defense systems, three of which must be in direct support to DoD related activities.